GATE – Graduate Aptitude Test in Engineering (GATE) is the national level entrance exam conducted by IITs. It leads to admission to (i) Master’s programs and direct Doctoral programs in Engineering / Technology / Architecture and (ii) Doctoral programs in relevant branches of Science, in the institutions supported by the MHRD and other Government agencies. Scorecard of GATE is also used for PSU recruitment through GATE. Every year one IIT or IISc conducts the exam. As the admission for the upcoming academic session takes off, details of GATE exam are announced. All events then take place as per schedule. GATE organizing body handles all activities related to GATE exam such as accepting applications, issuing admit card, holding exam and declaring results. Schedule for all events is given below. The cut off for the past years has been mentioned here for your reference as to give you an idea. Candidates can apply for PSU recruitment through GATE result. Separate application forms have to be submitted for each PSU. One can decide where to go based on the GATE discipline papers a PSU is accepting, the position offered, salary offered, state of employment and various other factors. Read more. Common Offer Acceptance Portal will be the common platform to get admission in M.Tech program in all IITs. All participating Indian Institute of Technology will offer admission through this common counselling process. 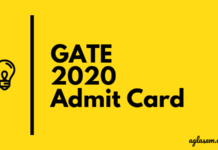 Indian nationals with a valid GATE score can register for GATE COAP. One has to register at COAP in addition to applying for admissions in IITs. Centralized Counselling for M.Tech (CCMT) will be organized for joint admission and counselling to NITs, IIITs, CFTIs. There are 40 participating institutes which offer admission to M.Tech, M.Arch, M.Plan, M.Des. CCMT is an online admission process for all participating institutes. Its important features are admission process, schedule, process flow chart, contact details which are conveyed through information brochure. Those who have any of the following degrees can apply for GATE. 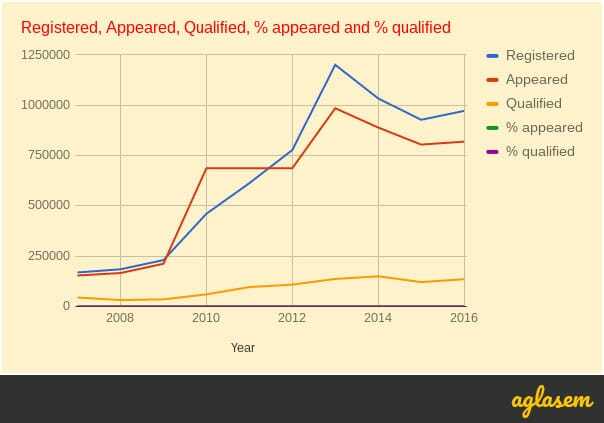 Year of qualifying qualifying exam should be no later than year of exam for BE / B.Tech / B.Pharm / B.Arch / B.Sc Research / B.S. / M.Sc / MA / MCA / Integrated M.Sc / Integrated BS-MS.
Year of qualifying exam should be no later than next year of exam for Integrated ME / M.Tech of Dual Degree after Diploma or 10+2, and two years after the exam for Integrated ME / M.Tech post-B.Sc. It is important to know GATE exam pattern. GATE is a computer-based test. There are two types of questions namely MCQs and NATs in the exam. Some questions are of 1 mark and some are of 2 marks. Only MCQs have negative marking. For a 1 mark question, there is 1/3 negative marking. Whereas for a 2 marks question, there is 2/3 negative marking. There are overall 65 questions of 100 marks. Engineering Mathematics carry around 15% of the total marks. General Aptitude section carries 15% of the total marks. Remaining 70% of the total marks is devoted to the subject of the paper. Syllabus of GATE is officially available. Since each subject paper has a different syllabus, therefore you should download and refer only that subject syllabus of GATE 2018 for which you have applied. Official GATE Syllabus for AE (Aerospace Engineering), AG (Agricultural Engineering), AR (Architecture and Planning), BT (Biotechnology), CE (Civil Engineering), CH (Chemical Engineering), CS (Computer Sc. and Information Technology), CY (Chemistry), EC (Electronics and Communication Engg. ), EE (Electrical Engineering), EY (Ecology and Evolution), GG (Geology and Geophysics), IN (Instrumentation Engineering), MA (Mathematics), ME (Mechanical Engineering), MN (Mining Engineering), MT (Metallurgical Engineering), PE (Petroleum Engineering), PH (Physics), PI (Production and Industrial Engineering), TF (Textile Engineering and Fibre Science), XE (Engineering Mathematics, Fluid Mechanics, Materials Science, Solid Mechanics, Thermodynamics, Polymer Science and Engineering, Food Technology, Atmospheric and Oceanic Sciences), XL (Chemistry, Biochemistry, Botany, Microbiology, Zoology, Food Technology) is available at gate.iitg.ac.in as well as here. Once you have decided to appear for the GATE exam, preparation needs to begin. An effective strategy to prepare for GATE is when you are clear on the three points. Which paper you wish to appear for, and whether you are eligible for the same. Know the syllabus for GATE. Have a clear plan of action for GATE preparation. Determine the eligibility and go through the syllabus. A good plan for GATE exam preparation must have the following points. Study hours – Study at least 5 hours every day. Divide your time between studying theory, practicing questions, and solving mock tests. Books – Refer to the important books for GATE preparation. 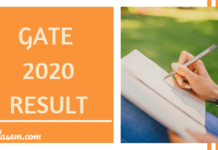 Question papers – For self-analysis, and understanding the level of difficulty as well as the examination pattern, go through last year papers. GATE Papers of past years of all subjects are available online. GATE online preparation – Refer to online preparation resources for GATE exam. Some very useful videos can be viewed for free at NPTEL. Check out the GATE exam preparation strategy for an in-depth guide on how to prepare for the Graduate Aptitude Test in Engineering.